Does anyone else feel like this Thanksgiving really snuck up on us? Especially living in New York City, where Super-Storm Sandy has been the first thing on all of our minds for the past few weeks. However, this morning, it all became a reality as my wife wanted to discuss what I’m doing for Thanksgiving. Of course I’m making a turkey with all the trimmings. She really didn’t need to ask. But what I really started to think about is what wines I’d be serving with Thanksgiving. 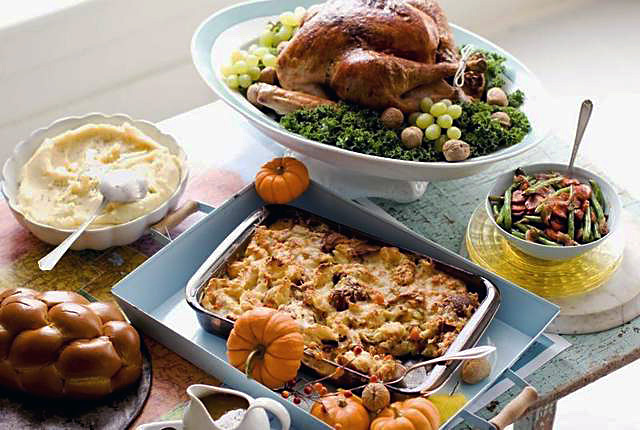 The reality is that a Thanksgiving dinner can be a little difficult to pair with, because there are so many diverse flavors on the table. Turkey, cranberry sauce, stuffing, sweet potatoes (some sweeter than dessert), mashed potatoes, corn—the list goes on and on. Luckily, I’ve had a lot of experience pairing wine at Thanksgiving, and trust me; I’ve been let down plenty of times. However, we learn from our failures, and the list below is my list of wines that are sure to succeed. Each one should be versatile enough to handle an array of traditional and unique side dishes, and of course, will pair perfectly with turkey. Pinot Noir is probably the most regularly recommend wine for Thanksgiving, and there’s good reason why. No matter what style of Pinot you choose, they are usually softer and more feminine than most reds. With French style Pinot (Burgundy), you can expect a lighter frame, more acidity and a mineral core. While the new world examples give more fruit and spice, each style manages to accentuate the flavors of turkey, gravy and stuffing (especially with mushrooms). 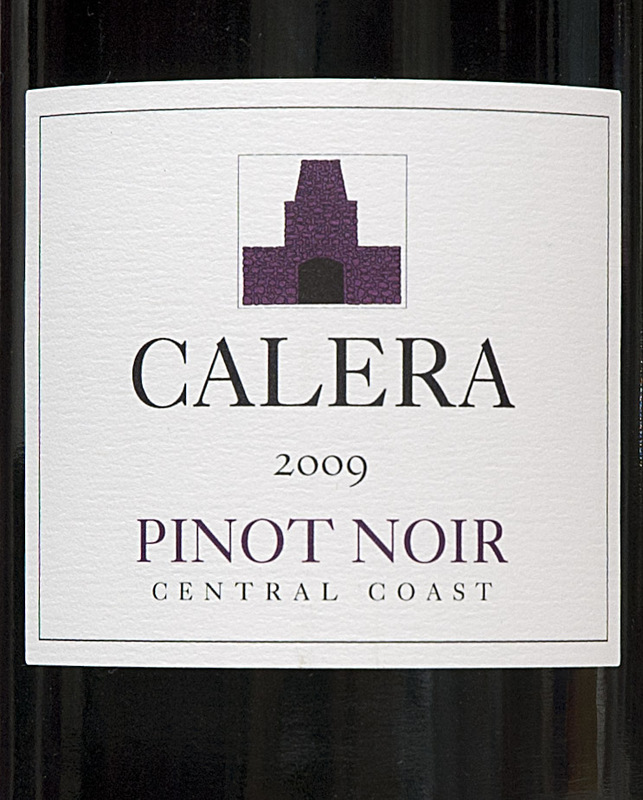 2009 Calera Pinot Noir - The nose was highly expressive with a bouquet that showed sweet cherries, pine nettles and dark soil notes. On the palate, it was silky smooth yet juicy, with pure dark cherry fruit, hints of herbs, and a crack of pepper. The finish followed suit, as its red fruit and earthy profile slowly melted away from the palate. (91 points) Find it on Wine-Searcher! Gewurztraminer has become one of my favorite white wines. Its floral, spicy tones on the nose are truly seductive, while the palate offers a lush mouthfeel contrasted by zippy acidity. 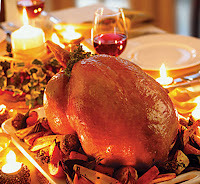 It’s a perfect white for a holiday meal, because it complements everything else around it with its gorgeous aromatics. 2009 Kellerei-Cantina Tramin Gewürztraminer - The nose shows intense floral notes with spicy, sweet tropical fruits. On the palate, a hint of residual sweetness remains but is well balanced by a mix of balanced acidity and a plush, velvety mouthfeel. The flavors are of dried apricot, white stone fruits, and saline minerals. The sweetness turns pleasantly bitter on the long finish with white stone fruits. (92 points) Find it on Wine-Searcher! Merlot—yes, I said Merlot. Merlot is usually fruity, round and soft on the palate, yet there’s still enough acidity and structure to allow it to pair beautifully with roasted turkey. What’s more, most Merlot has a savage side with earthy, almost animal tones, and I find that it’s a great pairing against the aromas of potatoes with gravy. 2007 Chateau Ste. Michelle Merlot Cold Creek Vineyard - On the nose, I found plum and blueberry with sweet spices and an underlying dark soil and chalk note that kept it rooted in the earth. On the palate, it was full-bodied with velvety textures, showing excellent balance with a mix of cherry and cranberry, herbs and bitter dark chocolate. The finish showed plums, green pepper and saline minerals with a slight tug of tannin reminding me of its fine structure. (92 points) Find it on Wine-Searcher! Chardonnay (No oak), I once heard someone say that Chardonnay is a blank canvas on which a winemaker can paint a beautiful picture. Unfortunately, that picture is often of an oak barrel. There’s a lot of buttery (oaky) Chardonnay out there, and it has its place, especially against buttery dishes. However, I invite you to try an unoaked Chardonnay, and what better time to do it than at Thanksgiving? When you take away that layer of oak, Chardonnay shows the qualities of the winemaker more than the barrel. In this case, it’s also an early wine, which really kicks up the freshness of the wine, lowers the alcohol, and makes it a great pairing for your holiday meal. 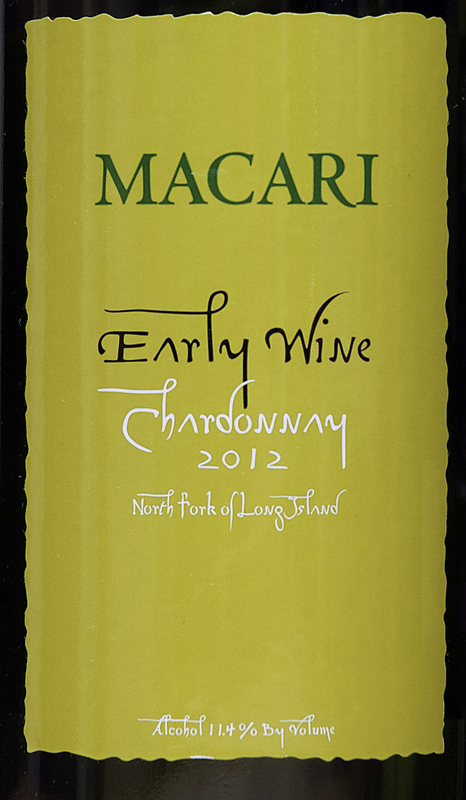 2012 Macari Chardonnay Early Wine - The nose was lively with a bouquet of green apple, melon, stony minerals and a spritz of citrus. On the palate, a wave of semi-sweet citrus fruits turned to green apple acidity with a slight fizz that spread across the senses. The finish was pure, clean yet showed citrusy green melon and left the mouth watering. (89 points) Find it at Macari Wines! Syrah performs great with almost any roasted poultry, but it shines best for those who enjoy dark meat, legs and wings with stuffing (Yum!). These are serious reds rooted in the earth with ripe berry fruits, spice, and enough acidity and structure to handle a large array of side dishes. 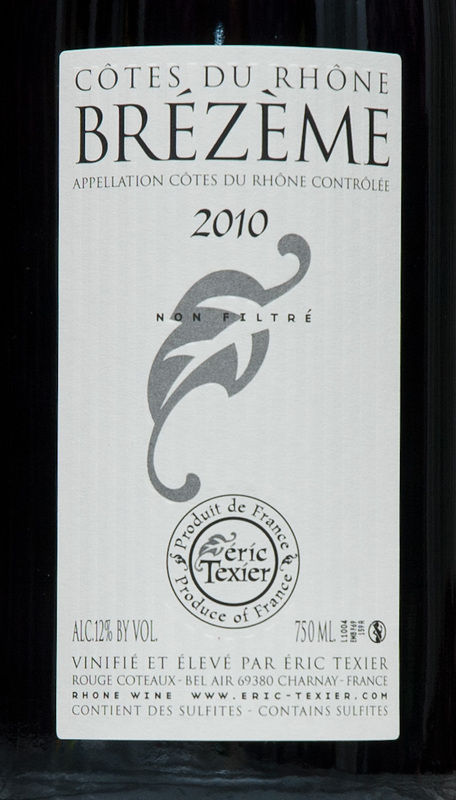 2010 Éric Texier Côtes du Rhône-Brézème - The nose showed blackberry with savory spices, reminding me of mustard seed and pepper followed by mineral laden black stone. On the palate, it was light-to-medium bodied with zesty acidity, black fruits, grill char, herbs and orange peel. The finish was dry with cheek-puckering tannin, showing tart black fruits and pepper notes. (88 points) Find it on Wine-Searcher! Zinfandel can be your ace in the whole. Red Zinfandel is a perfect match for the holiday table. Its ripe berries and spice complement the majority of side dishes; and Zins go great with turkey. 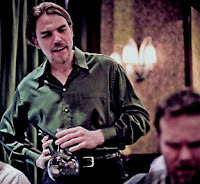 What’s more, most of your guests will likely be surprised by how good Zinfandel can be (so you get to play the smart sommelier). The better Zinfandels will have juicy acidity and enough structure to really shine in the glass and at the table. 2009 Ridge Zinfandel Lytton Springs - The nose showed red wild berries, a dusting of cinnamon sugar, hints of minerals and herbs, and a whiff of dark baker’s chocolate. On the palate, it was beautifully balanced and elegant with a firm start and juicy finish. Ripe red and blue fruits went from sweet to tart as it flowed across the palate. The finish was long and spicy. (92 points) Find it on Wine-Searcher! 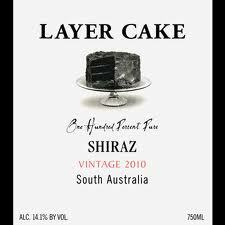 2010 Pure Love Wines Shiraz Layer Cake - The nose showed blackberry jam on toast, vanilla, sweet spices and a hint of pine. On the palate, it was soft with vibrant acidity, ripe wild berries, cola and pepper assaulting the senses, which turned to sour blackberry on the finish. (88 points) Find it on Wine-Searcher!